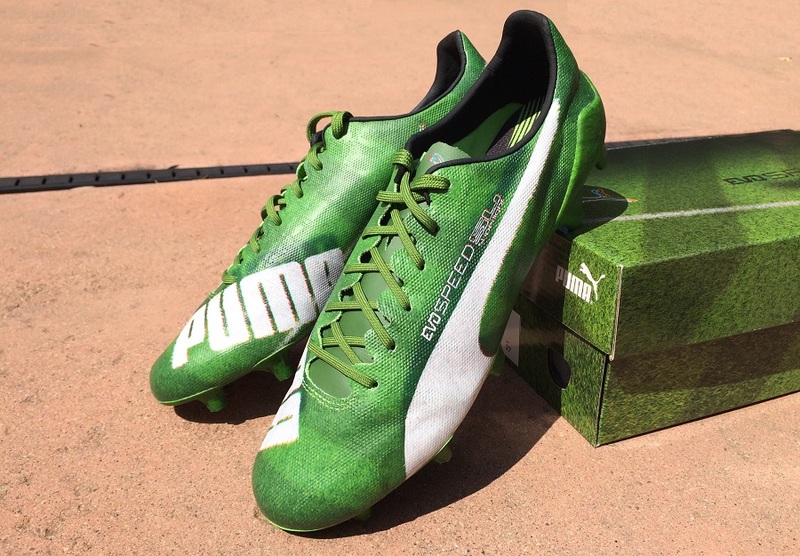 When it comes to creative visual boot designs, Puma are not afraid to produce distinctive releases. 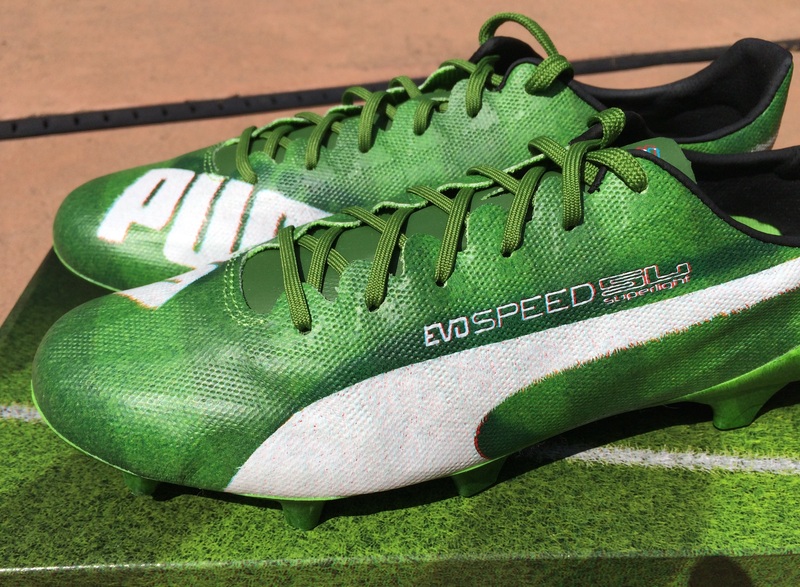 One of the latest is this pair of Puma evoSPEED SL that feature a 3D Grass pattern across the upper. 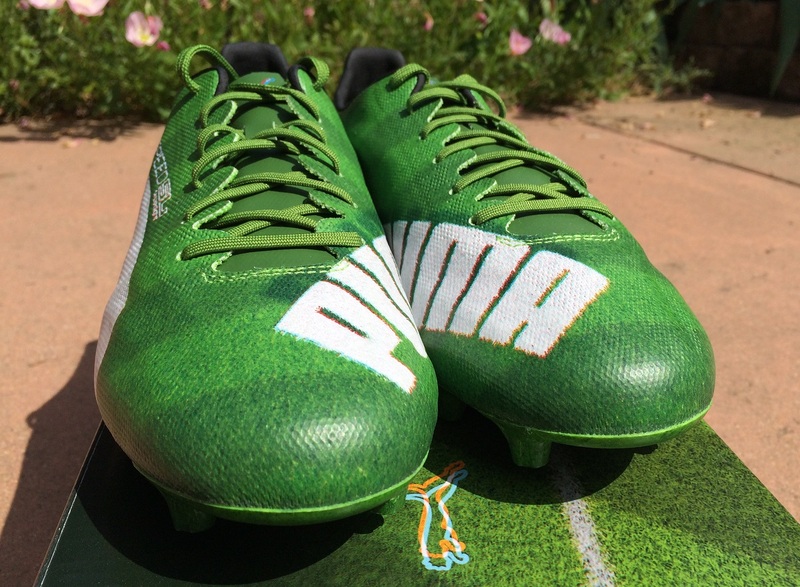 For those that remember the Puma V1.06 “Green Grass”, this is a modern reproduction with an added twist. The official colorway is listed as Jasmine Green/White/Black. 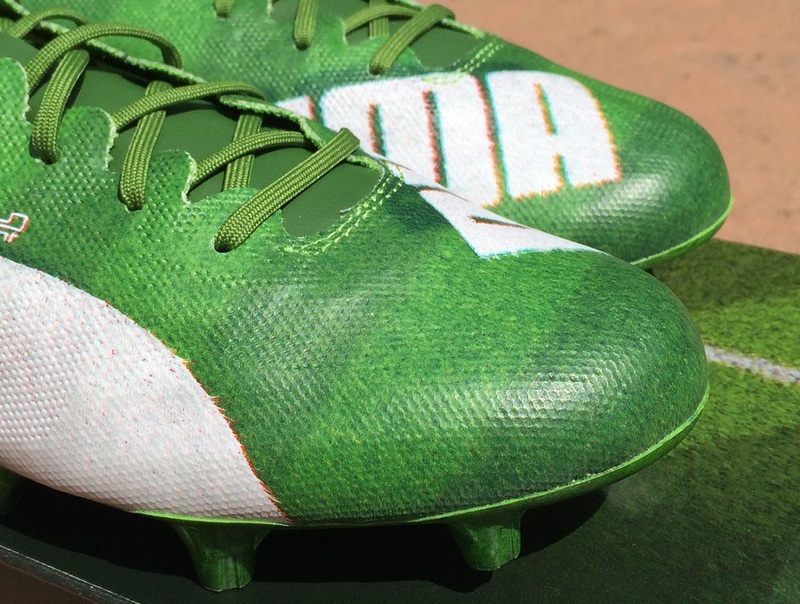 A freshly cut and lined green grass pitch covers the upper and features white side lines via the signature Puma stripe on the side of the boot. This is what really pops when you put the 3D glasses on, those included inside the box. It is almost like the groundsman has just finished mowing, with a crisp visual pitch right across the upper. 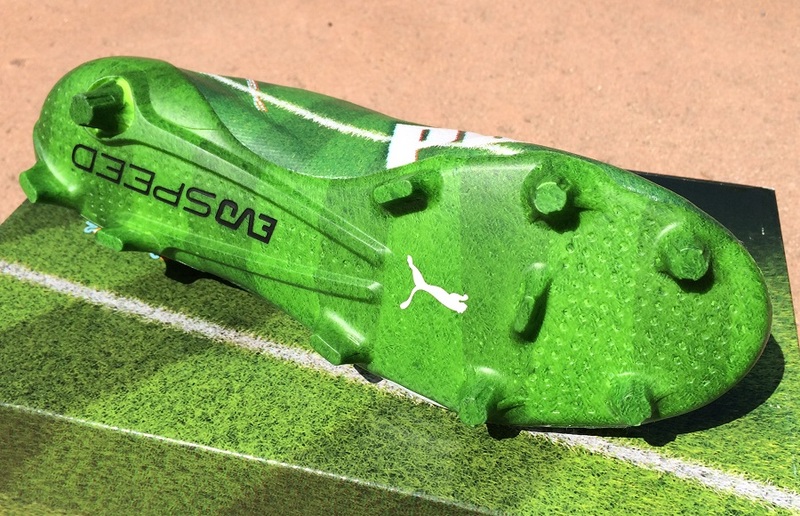 Looking at images, you can see the areas that feature intentional 3D pop, including the test along the side of the boot and the actual Puma logo. Unfortunately, this is an aspect of the boot that can only be appreciated off pitch, unless you and your mates like to play 3D soccer! Underneath the upper is a complete support cage system that keeps everything held in place. You can easily see the lattice style criss-cross pattern by looking inside. 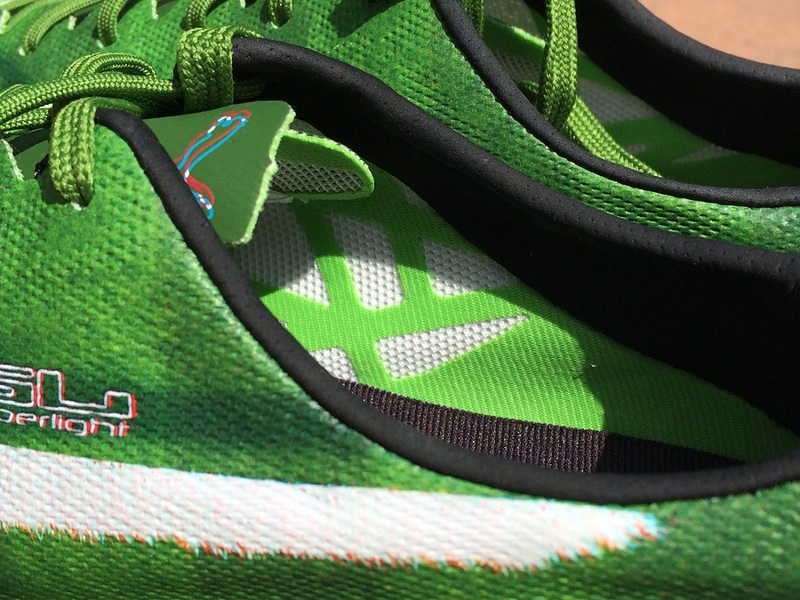 Unlike other evoSPEED SL releases, these are not translucent when sunlight hits the boot. Of course, the focus point surrounds the durability and 10 game lifespan of the 103grams or 3.6oz boot. It is incredible that a boot can weigh so little, so it should come as no surprise that a boot like this is unlikely to get you through even half a season. A non-compromise lightweight proposition, this product is about speed, not endurance. But the moments it creates will last forever. If you decide this is a pair of boots you are interested in, please take the durability into consideration. Shelling out $250 for a boot that will only get you into double digit games represents a high per game fee, even if performance is vastly unlike anything you’ll have experienced before! In saying that, this is an extremely unique design and the grass print is one that is sure to be a talking point should you add it to your collection. I’ve full intention to add these ones to the SC101 boot wall! What do you guys think of the design and honestly, is this a boot you’d be willing to drop $250 on? 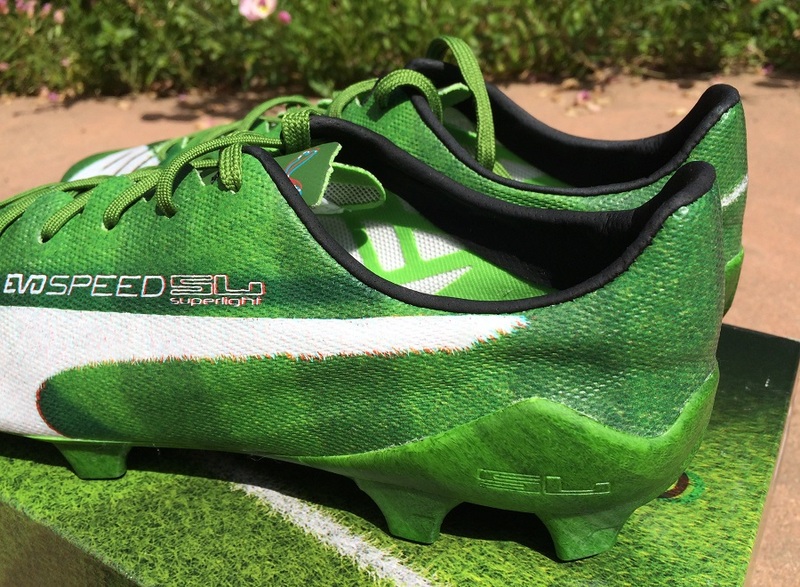 Find pairs of this limited edition boot currently available at soccer.com.